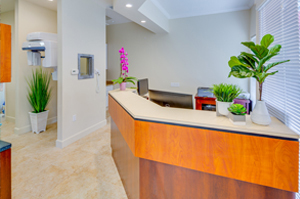 "Come visit us at 1267 Laurel Street between Howard and Greenwood, just off El Camino Real in downtown San Carlos"
Dr. Wu and her dedicated staff of experts take a comprehensive approach to oral health to ensure that you and your family have a healthy smile for years to come. Laurel Dental San Carlos is a dental practice devoted to restoring and enhancing the natural beauty of your smile using, state-of-the-art procedures that result in beautiful, long lasting smiles! Building a foundation of trust by treating our patients as special individuals is vital to our success. We understand how uneasy some patients may feel about their dental visits, and how we can make a difference in providing a relaxing and positive experience. Dedicated to providing you with excellent, personalized care and service to make your visits as comfortable and pleasant as possible. All of which can be combined in a smile makeover to help you transform your appearance and attain your ideal smile. If you’re looking for a dental office in San Carlos, CA with an experienced dentist, a caring and competent staff, you can trust Laurel Dental San Carlos. 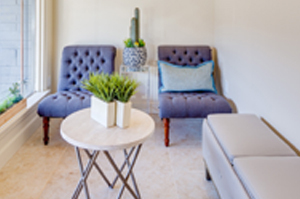 Visit our convenient downtown San Carlos, CA location, our entire team is dedicated to providing you with the personalized gentle care that you deserve. We strive to make your visits not only comfortable, but also pleasant. We are a general dentistry practice offering a unique assortment of services that go far beyond what most family dental offices offer. At Laurel Dental San Carlos, we are constantly striving for new ways to improve ourselves! Don't suffer through a seemingly endless night of pain while waiting for a dentist. Call or email us for emergency dental services. Just leave us a message and we will get back to you as soon as we can. Dr. Wu also speaks many Chinese dialects as well, including Mandarin, Yue, Wu and Jin. Chinese speaking patients can fully understand all aspects of their treatment. We recognize that providing culturally and linguistically appropriate services for our diverse patients and their loved ones is crucial to optimal patient care. Whether it’s clear braces or metal braces, it’s always your choice at Laurel Dental San Carlos. Including free complementary initial exams that are available to all our east bay orthodontic patients. Five star orthodontic service and patient comfort is our top priority. 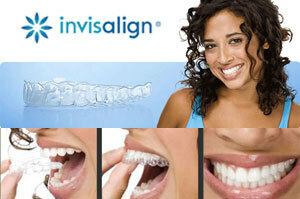 High-end braces, ClearCorrect, Invisalign and Invisalign Teen offered. Answering service is available 24/7 and emergencies are responded to quickly as possible. Visit our convenient downtown location, get directions by entering your zip code, city and state, or street address to the right for door-to-door directions. © Copyright 2016. Dr. Jean Wu - Laurel Dental San Carlos.